Home › Culture › Is Mr. Burns Actually the Norwegian Billionaire Fred. Olsen? Urban myth: The Norwegian ship owner Thomas Frederik Olsen (86), aka Fred. 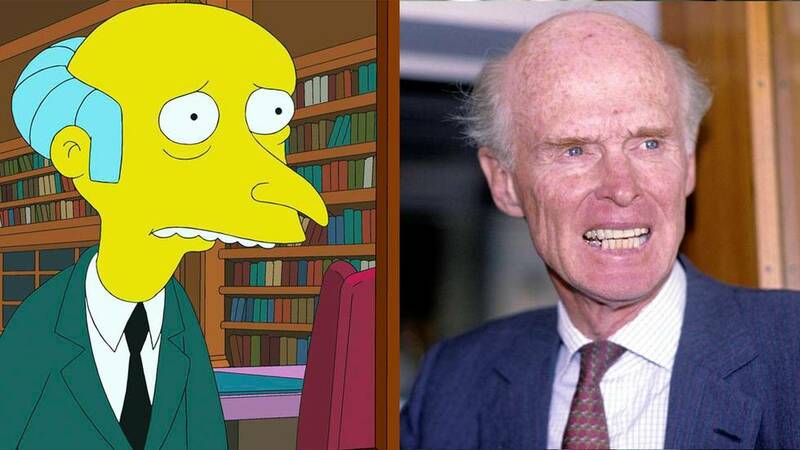 Olsen, is the inspiration for Simpsons character Charles Montgomery Burns (104, in most episodes). True or false? Creator Matt Groening gives you the answer. It is claimed that Simpsons creator Matt Groening struggled to develop the “local rich guy” when he established the characters in the popular TV series. When Groening needed inspiration as most, a much-discussed man in the United States inspired him – that is if we are to believe the legends and vague confessions. The man was Fred. Olsen, who at the time was in the news in connection with watchmaker company Timex. Groening (whose mother was a Norwegian-American), however, denies that there is any connection. – Any resemblance between Burns and Olsen totally coincidental, Groening wrote in an e-mail to Fortune magazine. When the magazine confronted Olsen with Groening’s statement, he was relieved. – I am thankful!, Olsen responded. In the Simpsons series, Mr. Burns is portrayed as an evil and emotionless man. He has no respect for neither employees, the environment nor safety instructions. Burns owns and operates Springfield’s nuclear power plant. Olsen, however, has invested in renewable energy through his company Fred. Olsen Ocean, which rents out equipment for constructing wind farms offshore. In addition, his wealth consists of among other companies in shipping and oil as well as watch manufacturer Timex. According to the Norwegian financial magazine Kapital, Fred. Olsen is the 13th wealthiest in Norway. He rarely gives interviews in the media. – My lack of a formal education is a terrific advantage. I am not held back by academic constraints. I think more broadly, and worry about the engineering details later, Olsen told Fortune magazine. Instead of following in his father’s footsteps with higher education at Cambridge, he sailed around the world for two years and labored in lowly positions. – That was better than an MBA, better than an engineering degree. No diploma can compare with that education, Olsen said.